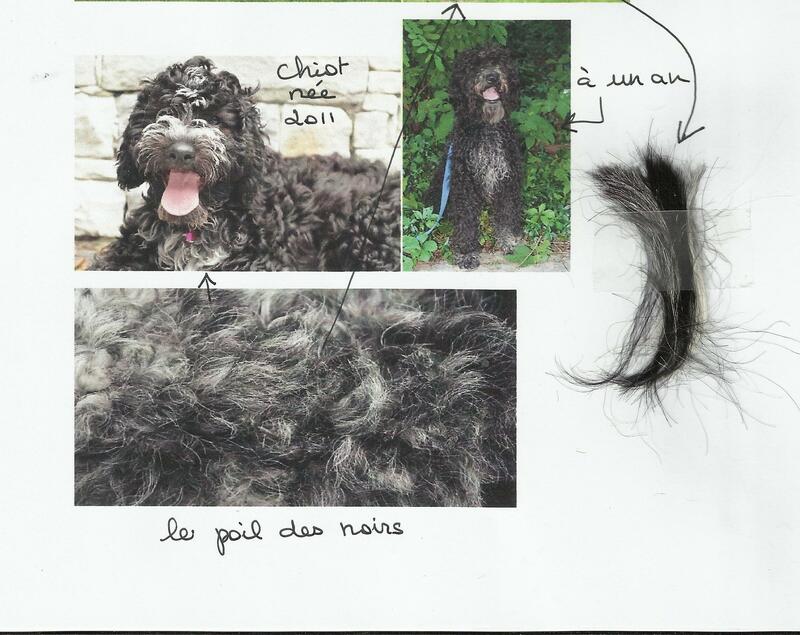 Coats and tangled webs | A Barbet is a Barbet is a Barbet..
A dog is more than just a coat and yes, you should be able to identify a breed when the coat is shaved off. 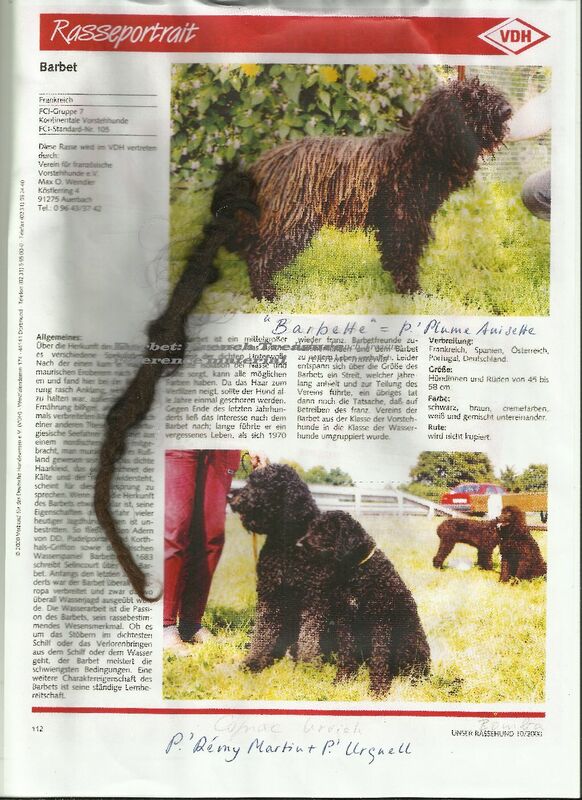 What makes a Barbet different from another breed? Who knows? This is Joyeuse du Mas de la Chapelle. She was and is the reference Barbet to the standard. This is a Griffon Français. 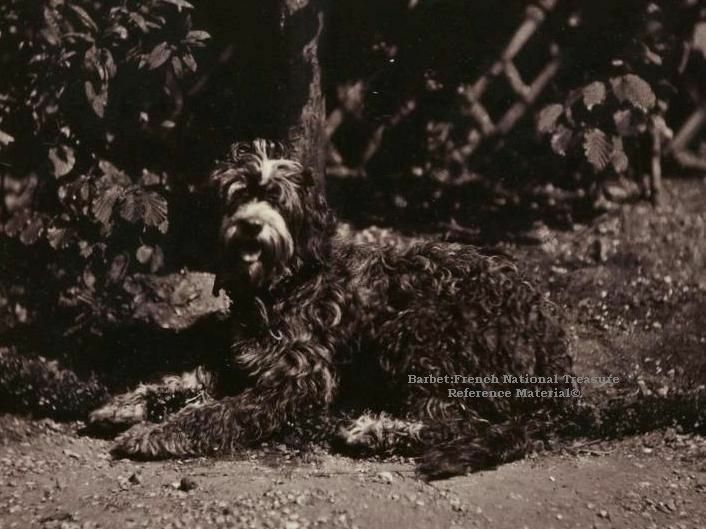 The Barbet being a Griffon and back in 1860 or so, the Barbet was still a generic dog, slowly being moulded and selected into what is still is today: a Poodle. Here you can very much see the difference. 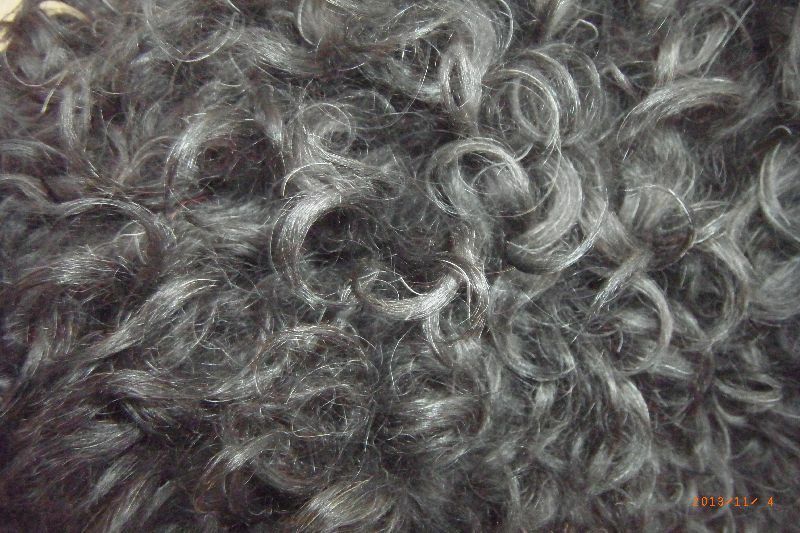 There are many different types of coats in the Barbet. They of course are a testimonial of the “composition” of the dog. The Barbet being such a small breed, it would be extremely difficult to keep it going without adding touches from other breeds. Sometimes those “touches” have compeletly transformed a breed into another breed. Hard to recognize a Barbet when everyone claims theirs ios the perfect portrayal of what the breed is today. We all love our pets, and of course in our own eyes, they are the best. 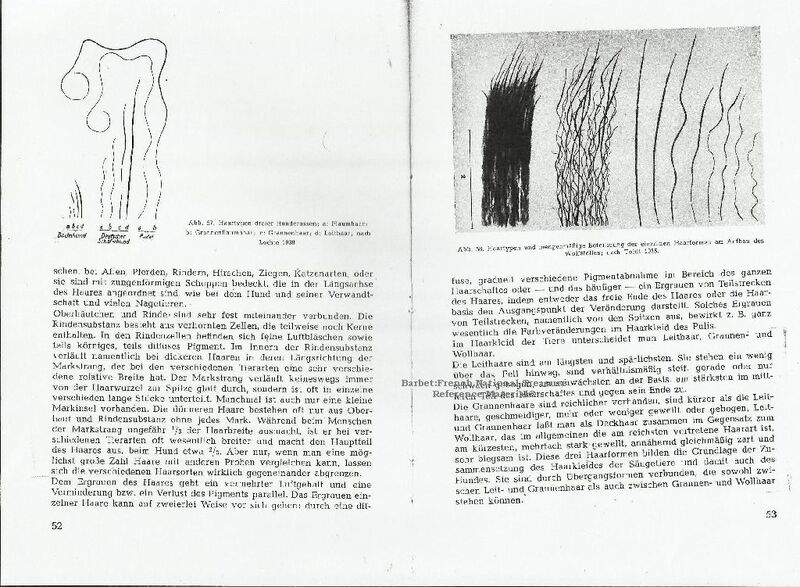 BUT how many look back at the breed as far back as the origial standard? 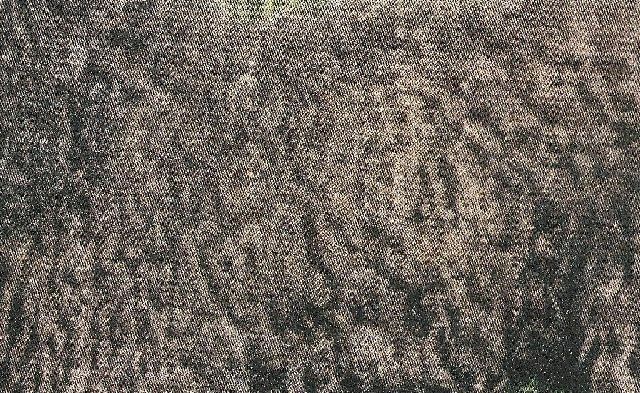 This coat is very fine and cannot be kept long, that being the reason the dogs have to be cut extremely short, which is contrary to standard.This particular coat is brown, but on an ageing dog. It comes in all the Poodle colors. The coat type below is the most difficult one. 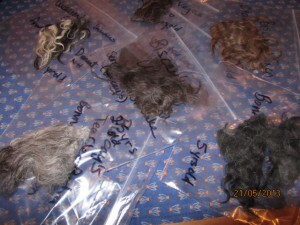 It cannot be touched/groomed as it is completely matted and can only be shaved when it gets to a certain length. 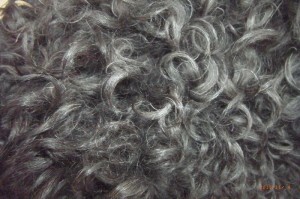 This is an originally black coat that has grayed. I have been collecting pieces/samples of Barbet coats. I don’t know why, but I have since you never know. When the dogs are gone, it’s not easy to talk about how they were outside. So I started and I have several hundred pieces. Pr Denis from the French SCC told me it was a good idea…so we will go from there. 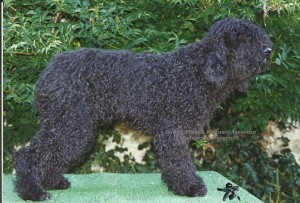 The one below is very interesting since the Barbet Plume Anisette is corded like a herding dog breed. The Puli is too, but is is also the Hungarian waterdog. 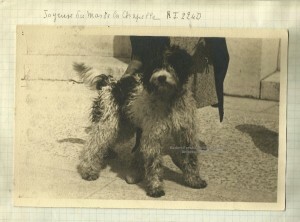 Below is Poppenspaler’s Vermouth, half sister to Verveine ( Hercule x IWS). Black and gray is very typical for the line. There are not many French documents about coats. One has to go far away to find information. 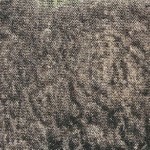 In a specific litter, you can get several completely different coats depending on the “ingredients”. 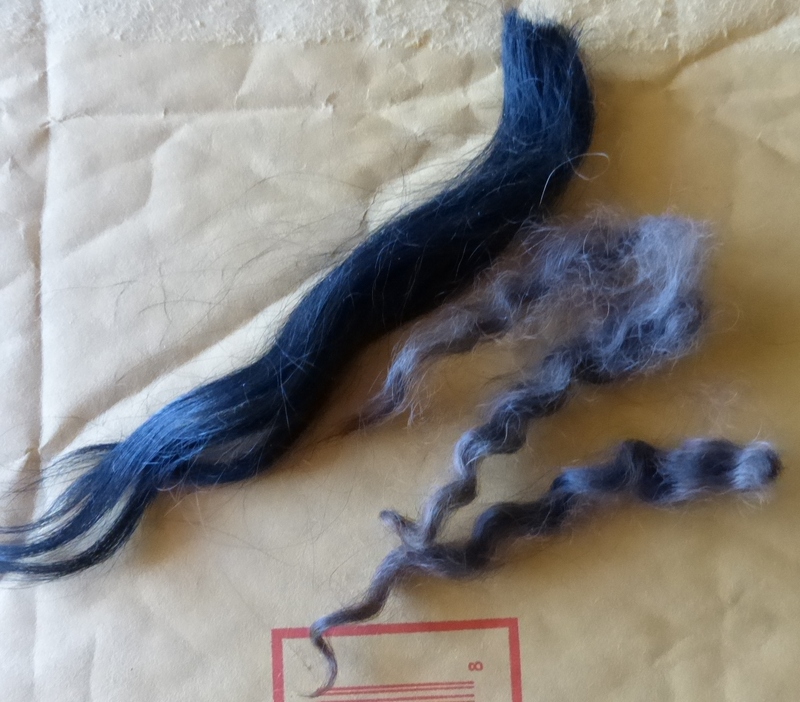 F1 crosses are the most blatant, as on the right a very frizzy wooly strand next to a wavier one that is not so fine and appears much rough-er. 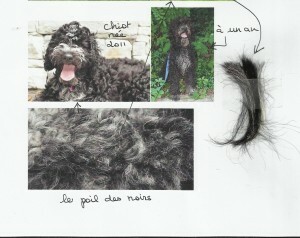 >>>>>>Conclusion: you trim a Vieux Barbet and you shave a Poodle ( Barbet Moderne). This information published in an English book still holds true. Now, if you want the dog to get used to being shaved all his life, ’tis best to start early, then you both can get used to a dog for which a standard was written to have a long coat, have a short one….